VTech Doc McStuffins Doc's Talk and Trace Clipboard Only $12.50 + FREE Shipping! You are here: Home / Great Deals / Amazon Deals / VTech Doc McStuffins Doc’s Talk and Trace Clipboard Only $12.50 + FREE Shipping! 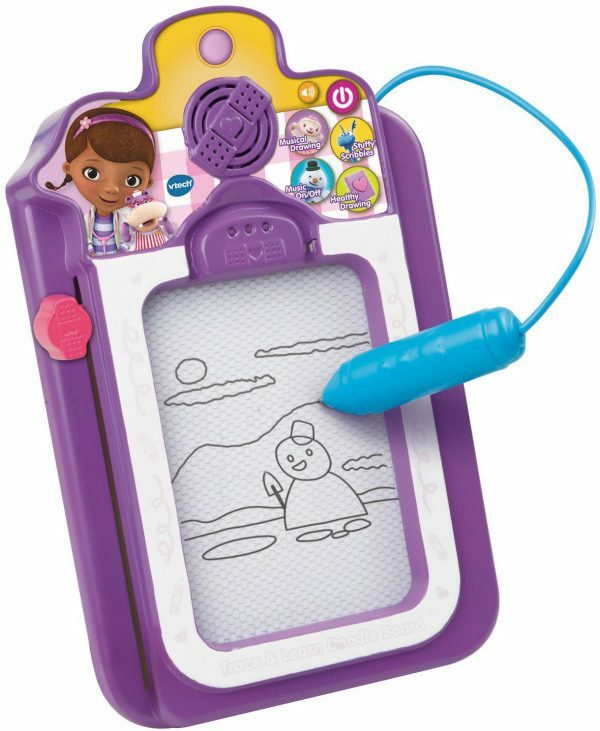 VTech Doc McStuffins Doc’s Talk and Trace Clipboard Only $12.50 + FREE Shipping! Your little doctor can easily check up on patients and diagnose diseases with the VTech Doc McStuffins Doc’s Talk and Trace Clipboard , now priced at just $12.50 (reg. $19.99)! And, shipping is FREE with Amazon Prime or Super Saver Shipping! My daughter loves to “doctor” my husband and myself, and this would be the perfect gift for her! She would have so much fun using her little clipboard to record patient charts and illnesses!